Vinyl sounds better, right? If so, there is a reason that can be explained in technical terms. Let us find out. The answer is simply that vinyl does not sound better, in fact it is inferior to digital. Today was a good time to find out why vinyl (what we called turntable and records in the old times) sounds better. So the plan is to rip some records I have, some of which are not available on digital. There are some good stuff here that may make its way to the demo list as well. 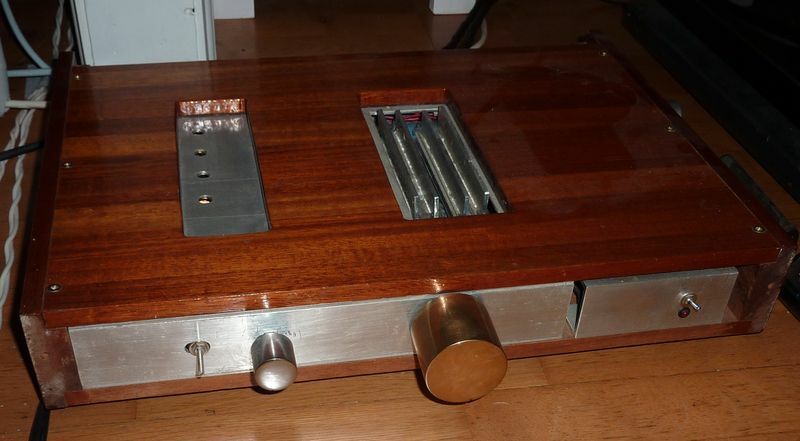 Central to this exercise is this preamplifier, it is the last one I made in late 80's. It has MC input only, for pickups like MC30 and AT OC9. It had a shunt-regulator power supply burning continuous power as a medium power amplifier long before this became a trend in the audio world. The problem with preamps for MC is noise and low-level distortion, because the signal is so low that the thermal noise of the source generator impedance becomes significant. The best one can achieve is to get as close to this physically given constraint as possible. FET transistors that have long been out of production and now impossible to find solves this problem, providing extreme clarity and resolution but at the same time comfortable, easy-to-listen-to sound. I was never satisfied with any of the front plates I made, so it usually ended up without. The volume knob is massive brass, it weighs so much it destroys the potentiometer, and that is how it is supposed to be. First part is to find a suitable vinyl record which I also have in digital format, where it is likely that the master is similar. So that the mythical vinyl sound can be compared to the digital version, and hear what is better on vinyl. Well, it turns out that it really does not sound much better. The differences can be attributed to differences in frequency response, with eq in one or the other it sounds pretty similar. Part from a few things that are significantly worse on vinyl. The noise level is so high that the decay and room information are somewhat masked, the scene is a bit smaller and narrower, the bass is more powerful and less precise, higher frequencies less sharp and more flat. No, it is definitely not necessary to do a blind test to verify that there is a difference..
On some albums the vinyl may sound better overall because the noise masks quite a lot, and added distortion can give more "musicality". Vinyl is the first graph. As usual, this corresponds well with listening impressions. But what with the claims for higher measured dynamics for vinyl? In some cases the reason is different masters, and additional difference in measured crest is due to use of limiters, which causes crest to increase when played back on vinyl due to phase changes. Using a reference-quality AD-converter and computer it is possible to do digital recordings of the vinyl records, with no loss of sound quality, the resulting digital files will sound exactly like the sound coming from the exotic preamplifier. Convenience - can be played back just like all the other music, is one obvious advantage. But the sound will also be better. It is now possible to fix faults introduced in the vinyl playback process, with digital signal processing on the sound files. Improper channel balance, faults in frequency response, can be fixed. Pop and cracks can be removed - a very audible improvement. In my system there is digital signal processing for crossover and bass management, requiring any analog input to be converted to digital. Potentially, this additional conversion can affect sound quality - may be it doesn't, but now that the source is digital like everything else, this problem is eliminated. And yes, the ripped digital files sounds exactly like the original vinyl. And will continue to do so, without loss of quality due to vinyl wear. So, this was not a step in the right direction towards audio nirvana. A record player also means a lot of nuisance. It has to be leveled, adjustments and alignments for the pick-up, dust removal. Yesterday I listened to an Opus3 recording, the one with the track "Tiden bara går". Fantastic, with Therese Juel visiting in my room, exactly as I remember it from the old days. I downloaded an mp3 of this track recently (it is provided as a free sample) and it does not sound like this at all, this is one reason I was tempted to set up the turntable again, to see if that magic from the old day was still there. 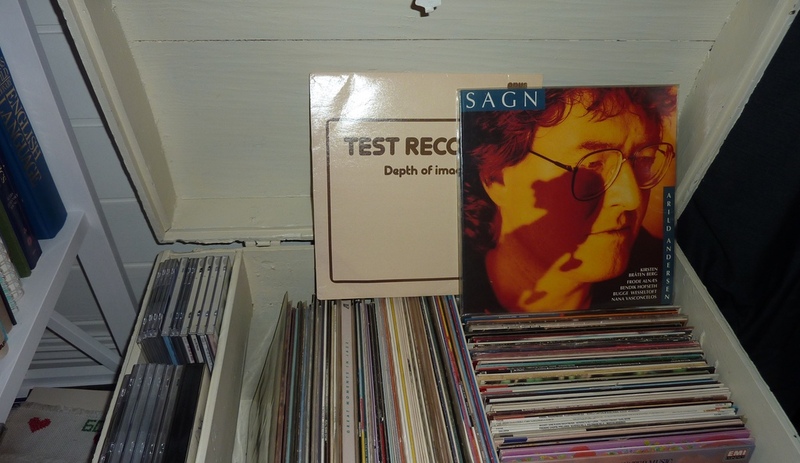 But when comparing even good quality vinyl records to decent digital, digital is preferable. I will rip a few records, then the exotic preamplifier and the record player is going back to where they belong - as a show-off in a storage room. It's all so sad. We have the technology today to playback music in higher fidelity than ever before. It can be conveniently selected and streamed from servers anywhere in your house, which can hold virtually all the music you ever want to listen to. And in all this, the record companies continually make the decision to throw out the dynamics in the recordings just to make the music perceived as 'loud'. I just don't get it. Here's my hope that a "normalize" switch becomes the default setting on any piece of audio equipment (especially in the car and mp3 players), and the record companies can concentrate on what should be their main concern, putting out the best possibly quality of the recordings, with dynamics intact. People who care about their dynamics can then simply switch off the "normalize" switch and have the digital music as intended (although in a perfect world, probably the normalization would just work well if the input material already came with a large dynamic range). I just hate the idea, i.e. the "audiophile" way of getting the best sounding music should be ripping it from vinyl to wav/flac. Dammit, giving us the best possible sounding digital format is the job of the music industry, it's the only way of getting as close to the music after mixing as possible.